PSG has a lot of trouble to conclude to finally validate its 8th title of champion of France. After making a rather complicated draw against Strasbourg 1 week ago at the Parc des Princes, the Parisians had the opportunity to conclude on the Lille field last Sunday. And as much to say that nothing happened as planned on the field of the 2nd of Ligue 1. After being very quickly led following a goal against his camp Meunier, Paris managed to catch up 4 minutes later . But worries soon appeared with the outings on Silva and Meunier’s injury and a red card collected by Bernat for a foul on Pepe. Under such conditions, the Parisians eventually collapsed but in proportions unimaginable, conceding 4 goals in the second half to finally lose 5-1. This is the biggest PSG defeat in Ligue 1 under the QSI era. A real snub for the team of the capital, which has therefore experienced his second defeat of the season in the league and which saw his coronation once again delayed. And the Parisians should still have trouble to conclude during this trip to the field of Nantes, to play their game late of the 28th day. Completely decimated by the wounds, the team of Tuchel should display a new face, amputated of most of its stars. But the victory remains largely within their reach and would finally formalize their title of champion of France. 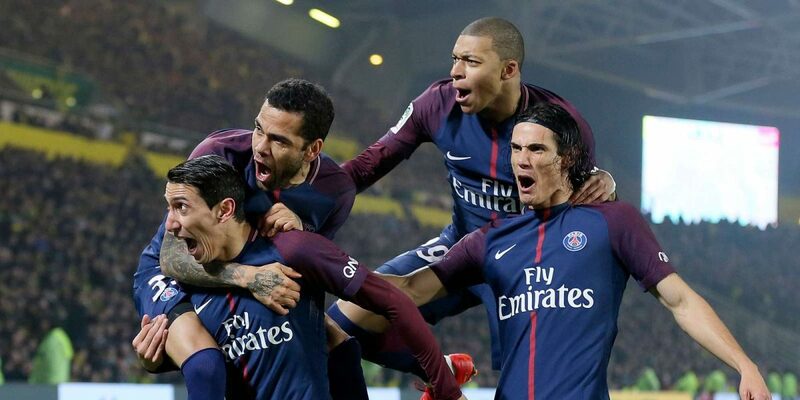 For Nantes remains a fairly “light” opponent for Parisians even if the Nantes have just knocked out Lyon last weekend and have achieved a precious success. Always 15th, the inhabitants of Nantes live a complicated end of the season and therefore welcomed with happiness this success against Les Gones. But it seems unlikely that the Nantais chained with a second win in a row, despite a Paris in small form. The Parisian coronation should therefore take place on the lawn of La Beaujoire, if all goes well this time for the Parisians. ⚽️ Nantes have won only 1 of their last 5 games. ⚽️ Nantes has lost 2 of its last 4 home games. ⚽️ Paris has lost only 1 of its last 5 games. ⚽️ Outdoors, Paris remain on 4 wins in the last 5 games. ⚽️ Nantes has not won against Paris since 2004. Paris lives last complicated weeks and sees his coronation delayed for 2 games. But the Parisians do not intend to let go once again the opportunity to finish. Very surely upset by their heavy defeat on the ground of Lille, the players of Tuchel will have at heart to redeem themselves and become champion with panache. Even if Nantes managed a superb match against Lyon last weekend, we see them beat PSG badly. So we put on a victory of Paris.